What is radiology? “X-rays” is a more common term for this diagnostic tool. 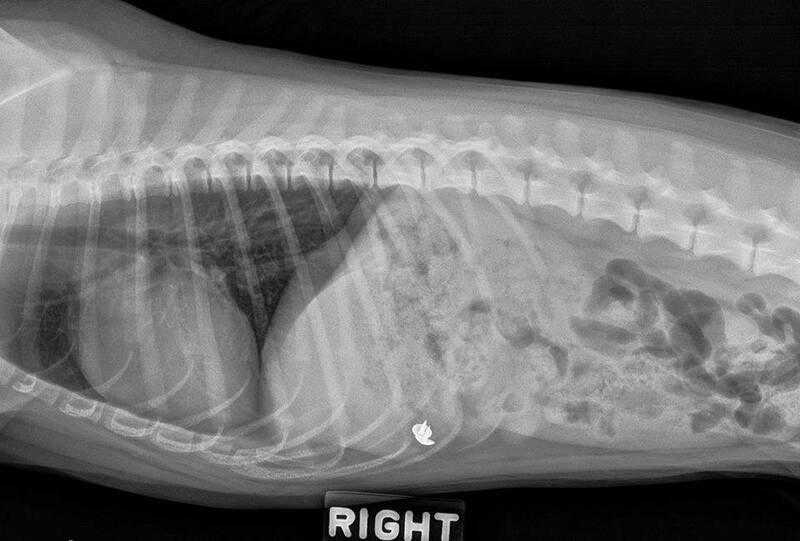 With X-rays, we can look at your pets bone & internal organ structure. This can be helpful in more obvious situations (like swallowing an object) or more complicated situations like heart disease. All-Pets Hospital has complete state of the art digital radiology system at our Second Avenue office. Digital radiology allows quick and easy imaging of all sizes of pets. X-rays can readily be emailed to referral practices and quality is much improved over film radiology.